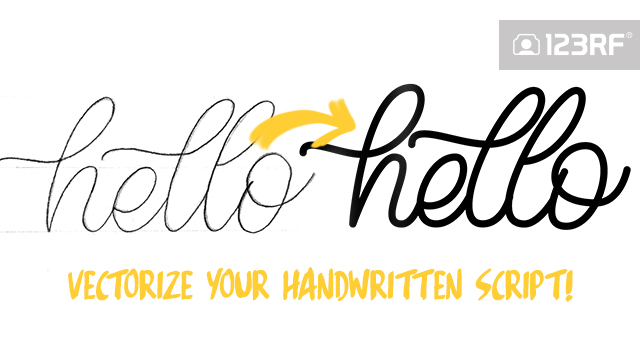 In this tutorial, we’ll explore the creation of mono-line hand lettering, using your own handwriting or script! Discover more with this super easy technique using simple shapes to draw letters and form words. The first step is to draw out the words on your paper. 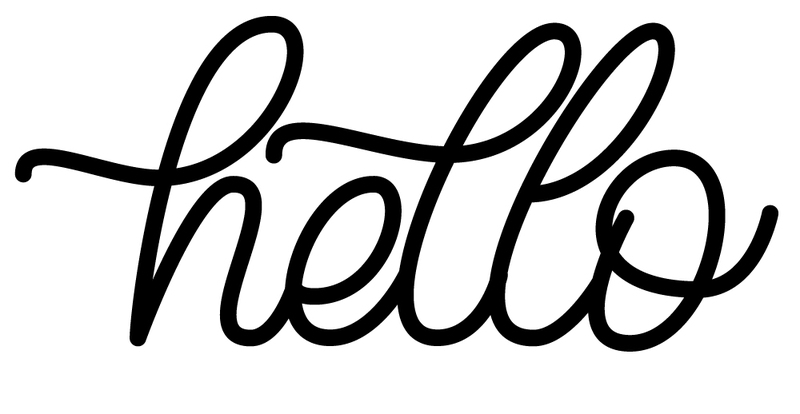 For this tutorial, we went with “hello” in a script style, but you can write it in any other style with a mono-weight line. 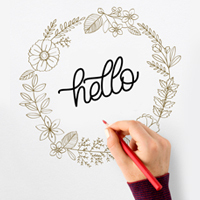 Grab a thicker pen and trace over your pencil sketch, either with the use of tracing paper or a light pad. This method basically makes the lines thicker and easier to see when you place it on-screen, but it’s totally fine to opt out of this step. The next step you need to take is to scan your lettering. Not to worry if you don’t have a scanner on hand – an easier alternative would be to snap a photo with your phone or camera. Just make sure you’re taking the photo from above the paper – just as if it was scanned. Open a New Document (Ctrl + N) and choose a size. We went with the standard A4. Now go ahead and place the photo into the new document you just created. You can Place (Shift + Ctrl + P) the photo or you can just drag and drop your image into Illustrator. 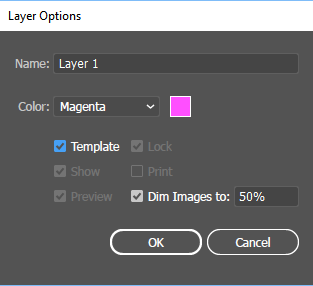 After locking the layer, double click on it. A new window will pop up and you can check the box “Template”. We created a new layer to make it easier to work without modifying the layer of the original lettering, using the previous layer as a guide. Using the Rulers (Ctrl + R), you can create guides for your word. 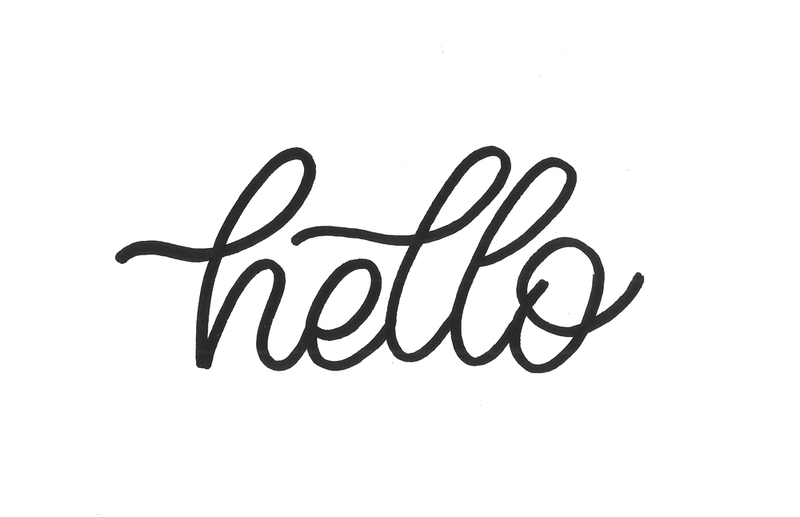 If you’re using script lettering, you can set up guides for the x-height and ascender height. 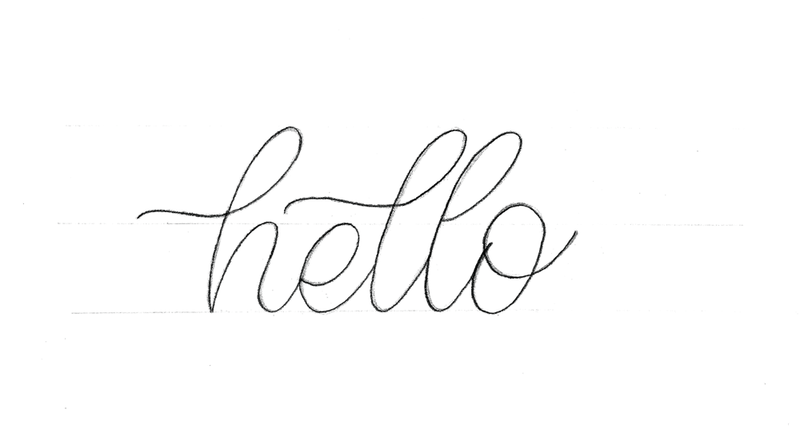 We’ll be using the Pen Tool (P) to trace our lettering. Bear in mind that we’ll only be using vertical and horizontal handles. 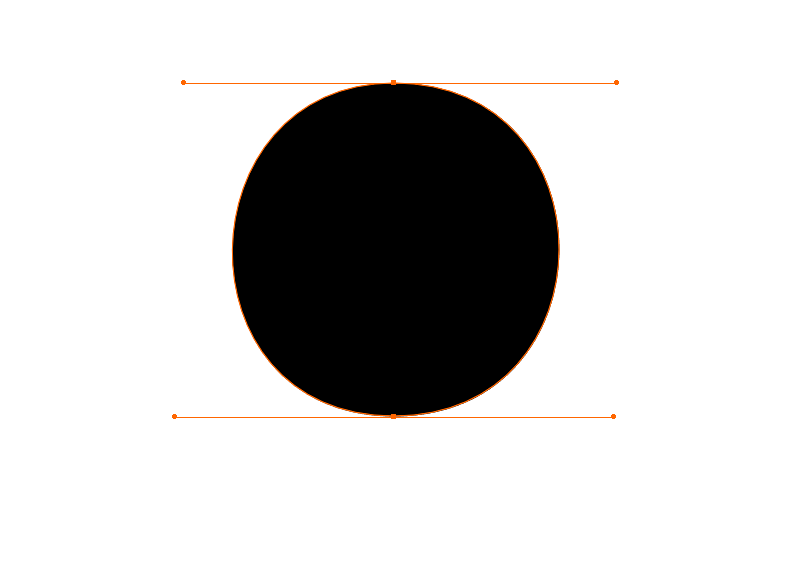 If you grab the Ellipse Tool (L) and draw a circle, you’ll get 2 vertical and 2 horizontal handles. 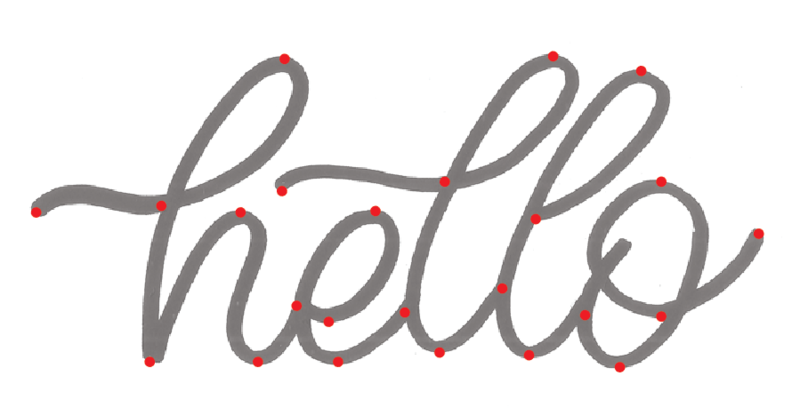 Since we’re using the pen tool to trace our word, we want to use less points! With the pen tool, less is actually better! 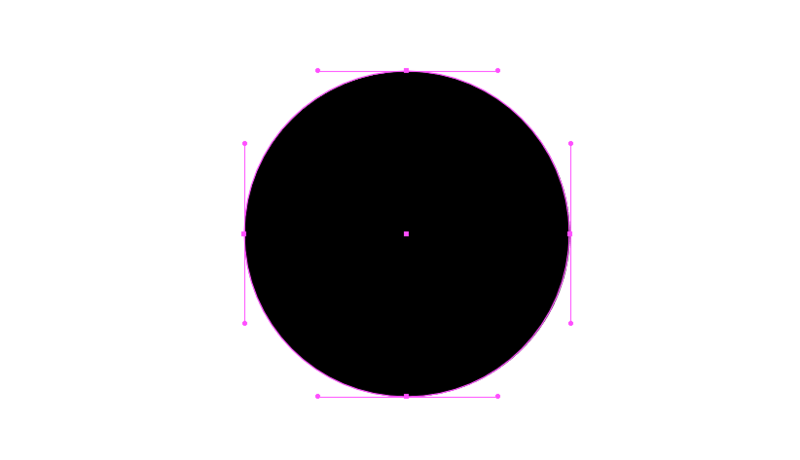 So, if we’re drawing a circle from scratch, we can use only two points! If you’re having trouble figuring out where to add your points, you can draw little circles on your letters, just like we did below! The red dots indicate where to add the points during the vectoring process. We recommend starting with a curve. In this example, we began at the curve on the top of the ascender of the letter ‘h’. Select the Pen Tool (P), click on the curve and drag it to the left while holding Shift, so your handle will be horizontal. Click on the bottom of the h and drag it to the bottom. Once you reach the bottom of the ‘h’, select the Pen Tool (P), add a point on the shoulder while holding Shift and dragging it to the left. Now add another point on the curve at the bottom and another one at the end of the letter. When you get to the end of letter, go back to the top of the ‘h’ and select the Pen Tool (P) again, click on the point at the top while holding Shift and dragging it to the right. Now we only need two more points to finish the letter ‘h’. Go to the bottom of the swash and add one horizontal handle. At the end of the swash, you can add a vertical handle. 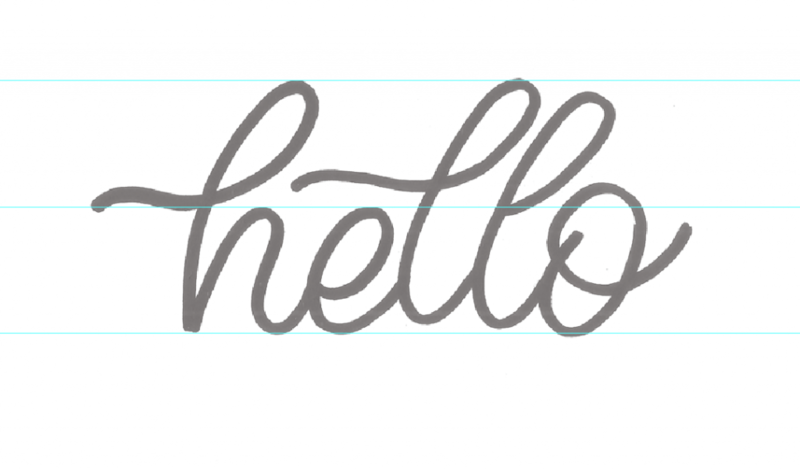 Once you’re done adding all points, it’s time to refine your lettering. Grab the Selection Tool (A) and select each point you want to modify. Remember to always hold Shift so you can keep the horizontal and vertical handles. For the letter ‘e’ start at the top curve, go to the bottom curve and then to the end of the letter. Select the Pen Tool and click on the point at the top of the letter ‘e’ while holding Shift and dragging it to the right. It’s time to refine the points again. Grab the Selection Tool (A) and select each point individually to refine everything that isn’t looking right. The letter ‘l’ is pretty similar to the letter ‘e’, you can start at the curve on the top and go to the bottom. Now select the Pen tool one more time, click on the top curve point, and drag it to the right to create the swash! With the Selection Tool (A) once again, refine the first letter ‘l’. For the second letter ‘l”, it’s okay to repeat the same method, minus the swash. The path of points will be pretty similar. Start at the top and continue to the bottom. Now select the point on the top and drag it to the right while holding shift and add a point at the end of the loop. Just like the previous letters, continue to refine the second letter ‘l’. For the letter ‘o’, it’s easier to start at the bottom of the letter and go to the top. You can now trace the cross line of the letter ‘o’. Select the point at the bottom of the letter while holding Shift and dragging it to the left. Add a point at the end of the letter. As usual, put the final touches on the letter by refining it with the Selection Tool (A). Check out more of our tutorials here!